Stylotone are promising to bring never-before-available recordings from classic and contemporary cinema to vinyl collectors worldwide. Already working with the estates of Bernard Herrmann, Alfred Hitchcock, Henry Mancini, Elmer Bernstein, Frank Cordell, modern directors such as Quentin Tarantino and Larry Cohen are also on their roster. Their vinyl is assembled, mastered and cut at Abbey Road Studios by Sean Magee, who was personally responsible for cutting the recent mono and stereo editions of The Beatles’ vinyl catalogue. Releases include both 180g Vinyl LP and a ‘Vinyl Replica’ CD in their Deluxe Edition releases, along with high-resolution MP3 downloads of the entire audio package and a 30” x 40” British Quad film poster. Their Super-Deluxe Edition packages include everything from the Deluxe Editions but are very limited runs of 180g coloured vinyl with additional fan memorabilia/ephemera, such as hand signed certificates, 7” singles and other items. 4-track 7” 45rpm vinyl only EP, featuring music from the original motion picture soundtrack to the 1968 Boulting Brothers’ production of Twisted Nerve. Side two: 1. The Assault, 2. Twisted Nerve (Jazz Version) AKA Jazz Version of Georgie (Twisted Nerve Theme), arranged and conducted by Howard Blake. 4-track 7″ 45rpm vinyl only EP, featuring music from the original motion picture soundtrack to Larry Cohen’s culy 1976 horror film Demon (aka God Told Me To). 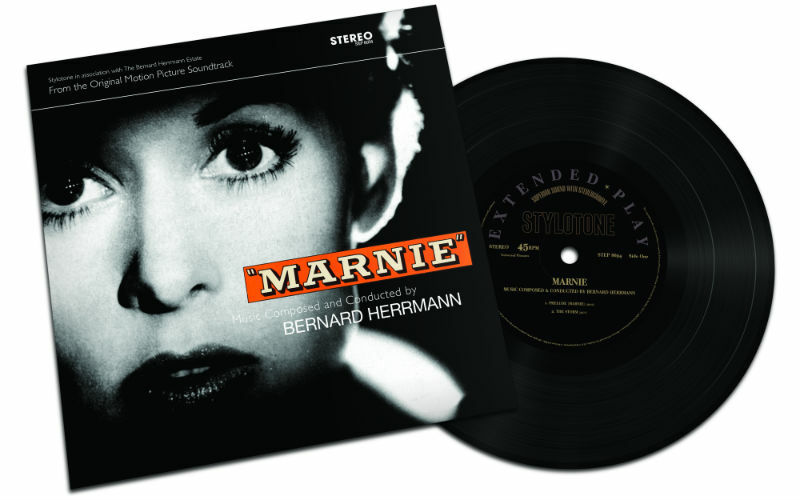 4-track 7″ 45rpm vinyl only EP featuring music from the original motion picture soundtrack of Alfred Hitchock’s 1964 film Marnie. Soundtrack available in full for the first time, plus additional cues unused in the film and previously unheard music. Super -Deluxe Edition combined vinyl, CD and download package featuring the full soundtrack to Basil Dearden’s epic picture starring Charlton Heston and Laurence Olivier. For more information, visit the label’s webstore.